After three young lawyers petitioned the Supreme Court for stricter population control law, another Petition has now been filed demanding that the legal age for marriage be increased to 25 years and 21 years from the current 21 years and 18 years for men and women respectively, in order to curb the growing population. "Fertility depends on the age of marriage. Therefore, the minimum age of marriage should be raised. At present, minimum age for marriage is 21 years for men and 18 years for women has been fixed by law. It should be 25 years and 21 years respectively. This law should be firmly implemented and people should also be made aware of this through publicity," the Petition, filed by Delhi lawyer and BJP leader Mr. Ashwani Kumar Upadhyay states. The Petition points out that the population in India is growing at an alarming rate, relying on the statistics obtained through various surveys, and submits, "The population of India is quite large and rapidly increasing. One percent growth rate means an addition of about 1.5 crore people every year. Therefore, an effective population control measure is the need of the hour. We know that birth rate is mainly responsible for rapid population growth. Hence, measures, which can reduce the birth rate, should be adopted." It then blames the increasing population for the increase in poverty, unemployment, starvation, food adulteration, health issues, depletion of natural resources and crime. It further points out various State laws which bar people with more than two children from contesting elections to local bodies and contends that differences in adoption of such laws by the States leads to discrepancies. It explains, "However, sporadic changes to law in only certain states shall never manage to yield results. It is therefore, the need of the hour that the Respondent takes steps to assess and to control the rapid growth of population. 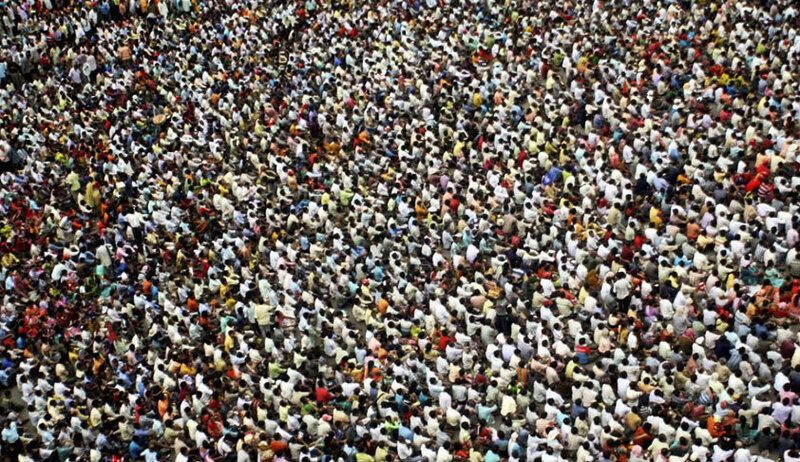 In fact, an anomalous situation has arisen due to the dispersed nature of these legislations directed towards population control in certain states. While a representative to a local body in a State where population control laws have been implemented stand disqualified for having more than two children, those in other States enjoy a complete immunity from any such disqualification. Thus, an elected public representative under the Constitution is subjected to differing standards of public accountability while all along being subjected to the same constitutional standards." The Petition, therefore, demands a uniform policy for population control, along with awareness campaigns, and incentives for those who adhere to the norm. It further makes reference to the recommendations put forth by the National Commission to Review the Working of the Constitution on Population Control, demanding implementation of such measures. The Petition then goes on to seek a direction to the Centre to allow only parents with not more than two children to contest elections for the Parliament, State Assemblies and local bodies. It also demands that people with more than two children be declared ineligible to form a political party, become political office bearer and apply for jobs in the Executive and the Judiciary.